Monique attended and graduated in 2000 from Whitney M. Young Magnet High School (WYHS) in Chicago, IL. During her time at WYHS, Monique was a member of the Pom Pon squad, Future Teachers of Chicago, and the African-American Culture Club. Upon receipt of her high school diploma, Monique began her post-secondary studies at the University of Illinois at Urbana-Champaingn in the fall of 2000. While completing her studies, Monique served as the Vice President of Ma'at (black student union) Historian, Co-Chair, and Chair of Buddy Core, which later evolved into The C.O.R.E. (Creating Opportunities, Recognizing Excellence), a mentoring organization for incoming minority freshmen students, an active participant of the University's Central Black Student Union (CBSU), and Choreographer for Cotton Club, CBSU's largest fundraiser. In 2004, Monique received a Bachelor's of Science in Architectural Studies. This degree resulted in Monique developing an interest in affordable housing policies being created to assist families of lower socioeconomic statuses to obtain adequate housing for their living needs. In 2005, Monique relocated to Washington, DC to attend Howard University for her graduate studies. Monique began her studies in the School of Social Work, where she further researched her interest in affordable housing policies and federally funded housing benefit programs for families in need. During this time, Monique completed two year-long internships with the Edgewood/Brookland Family Support Collaborative in her first year of graduate school, and at the Corporation for National and Community Service - Learn and Serve America (CNCS-LSA) in her second year. While completing her internship at CNCS-LSA, Monique co-authored an article titled Service-Learning for Homeland Security and Disaster Relief: A Report from Learn and Serve America, located in Growing to Greatness 2007: The State of Service-Learning (2007). Monique graduated from Howard University in 2007 with a Master's in Social Work with a macro concentration and an interest in affordable housing policies for low-income families. At this point, Monique began to understand that not only must change take place at the policy level in regards to affordable housing, but that it is just as important for organizations whose mission is to assist families/individuals to achieve self-sufficiency to have the organizational capacity needed to fully implement federal and state policies. 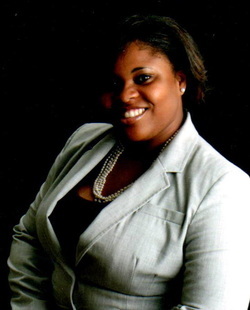 To strengthen her organization administrative skill sets, Monique continued her studies beginning in 2009 at the University of Maryland University College in two graduate certificate programs. In 2010, Monique received two graduate certificates: Nonprofit and Association Financial Management; and Leadership and Management. In 2013, Monique received a third graduate certificate in Human Resources Management, and anticipates completing a second Master of Science in Management. Long-term, Monique desires to gain a thorough understanding of best practices needed to effectively operate any organization at a managerial and senior executive level, while assisting them with enhancing their organizational capacities to better serve their clientele.